Photo: Courtesy of San Francisco 49ers/Levi's® Stadium. Analisa Robles is the Stadium Operations Coordinator for the San Francisco 49ers and Levi’s® Stadium. Prior to 24/7 Software, stadium operations used excel spreadsheets in conjunction with handwritten notes to document critical information. The organization relied on their old documentation process to make essential business decisions and to understand operational areas that needed attention. They wanted a seamless operation and to be able to hold their people accountable for duties, especially when things were missed. After the deployment of 24/7 Software, Analisa and her team were able to get the documentation they needed and much more. They have checks in place and processes that allow them to be proactive in their operation. Their staff are proficient in the platform and work in sync to successfully operate one of the world’s greatest properties. In 2018, they’ve started to implement 24/7 Software for their special events as well – 300+ per year. Prior to 24/7 Software, the most notable challenge for the San Francisco 49ers was the inability to track incidents via copious, handwritten notes and having to make sure that those incident details were passed on to the proper party quickly. They struggled to capture all the necessary information to dispatch the required resources when needed. The old process worked for a period of time. However, due to the nature of large-scale events and the high volume of incidents that occur, the ability to capture information in real time became too tricky operating at status quo. Additionally, with handwritten notes, the risk of losing pertinent data became much higher. “Our documentation was done via handwriting, and that needed to change. Events and organizations are ever-changing, and as they evolve, our way of operating must as well. What worked for some events may not be what works for others,” explained Analisa. The San Francisco 49ers stadium management team needed a real-time communications platform that would give them the flexibility to not only meet the ever-changing demands of operations – but exceed them. “It is important to have a program that allows flexibility and also provides an easier way for us to predict trends and capture real-time data. That was the direction we wanted to go in” continued Analisa. Although Analisa began using 24/7 Software in July 2015, the San Francisco 49ers are original users of the platform all the way back to Candlestick Park in 2011. 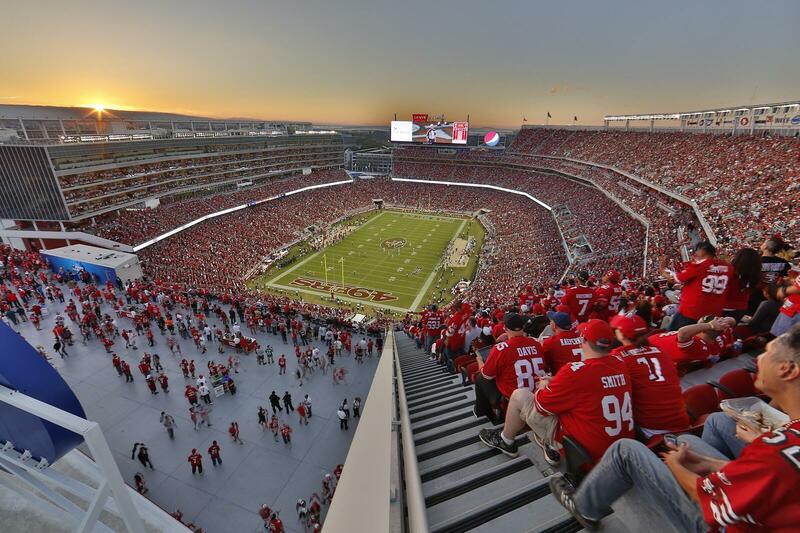 Julian Sakti, Director of Stadium Operations and Logistics, shared their transition from Candlestick Park to Levi’s Stadium and from their previous solutions provider to 24/7 Software. Analisa started using 24/7 Software in the summer of 2016. When she began using it, she was slightly intimidated because she had very minimal interaction with it prior to her becoming the administrator of the system. “The challenges that I was met with were not only learning how to navigate the platform but understanding all the features and their functions. In order to get more comfortable, I did copious amounts of training with Patty, who is absolutely fantastic in breaking down the information and explaining it, and I spent a lot of time navigating the platform myself,” shared Analisa. The San Francisco 49ers also took advantage of their extended team – 24/7 Software. Analisa was quickly able to develop her understanding of the platform with the help of Patty Flaherty, a Customer Success Specialist at 24/7 Software. She recognized the robustness of 24/7 Software’s platform, and that practical application of the software requires time and focus. Proactive operations are not built overnight. Analisa continually leverages her relationship with 24/7 Software beyond the platform. She takes advantage of the access her team has to knowledge and resources provided by 24/7 Software. “One of the aspects that I find attractive in using the software is the resources to help myself and others become expert users. Being a proficient user ultimately helps our property be that much better. It is extremely convenient to have access to the 24/7 Software Academy, which I use all the time with new dispatchers [staff] because it is easy for them to sit down and become even more familiar with the program,” explained Analisa. The San Francisco 49ers have peace of mind knowing that their team can educate themselves, get additional help from their on-site expert, Analisa, but also schedule the much-needed one-on-one time with 24/7 Software’s Customer Success Team if she needs further explanation or a deeper understanding of a concept. Since implementing 24/7 software, the San Francisco 49ers have benefitted in many ways, the most notable being that it has increased their awareness of how vital documentation is and knowing how to interpret the data. “After every event, I go through our blue cards and make sure that they correlate with our arrests/ejections and other incidents that may not have resulted in an arrest or ejection, but are equally important. Then, I sit down with our risk manager from legal and our EMS manager to go over any incidents that we feel warrant extra attention. An incident that is seemingly harmless can become something bigger down the line and have all the details together will help immensely,” said Analisa. When it comes to the data, the San Francisco 49ers run reports all the time, partly because the NFL Fan Code of Conduct must be submitted after every game but also because what is recorded in an event provides an overall picture of where the hotspots are throughout their property. As a result, Analisa can compare reports to past results to see if there are isolated events or if they are consistent with previous years. This analysis leads to better planning for future events so her team can mitigate problems before they arise. Analisa highlighted out-of-this-world success metrics from seasons 2014 to 2017 in which calls for service decreased for Police by 66%, Medical by 52%, Security by 45%, Guest Services by 53%, Logistics by 52%, Engineering by 16%, and Arrests and Ejections decreased by 63% and 28% respectively. The San Francisco 49ers will continue to leverage their ability to capture and customize critical data in real time. They value how efficient and effective this platform helps to make their operation. As the San Francisco 49ers, specifically Analisa, became more comfortable with using the platform and learned how to look for the essential details that pertain to their property and events, they were able to get through the work a lot more quickly, which allows Analisa, as administrator of the platform, to be productive in other areas of her job.